No home ever seems to have enough storage available. That is why when we designed the “SOLID” floor plan we had you in mind. There are many ways to find more storage in your new retirement home. 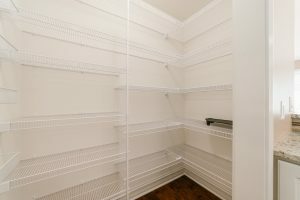 We have added custom storage shelving to the many closets and the walk -in pantry right near your kitchen. There is even a small corner that you would never even realize could be used for storage, but we turned it into a closet. 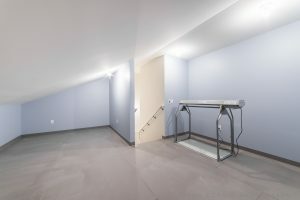 The “first-floor basement” is a temperature controlled storage room area that is included in all of the condominiums at Somerset Farm. You may even choose the bonus storage area above the garage. We use only quality products and can offer many suggestions. Call today to schedule an appointment with Linda Tillis Century 21 Elsner Realty and Brian Grainger the exclusive builder, who will both work with you from start to finish to insure your complete satisfaction.